Payment card "ELCART" - a local National card with magnetic technology. Maps are served throughout the territory of the Kyrgyz Republic. 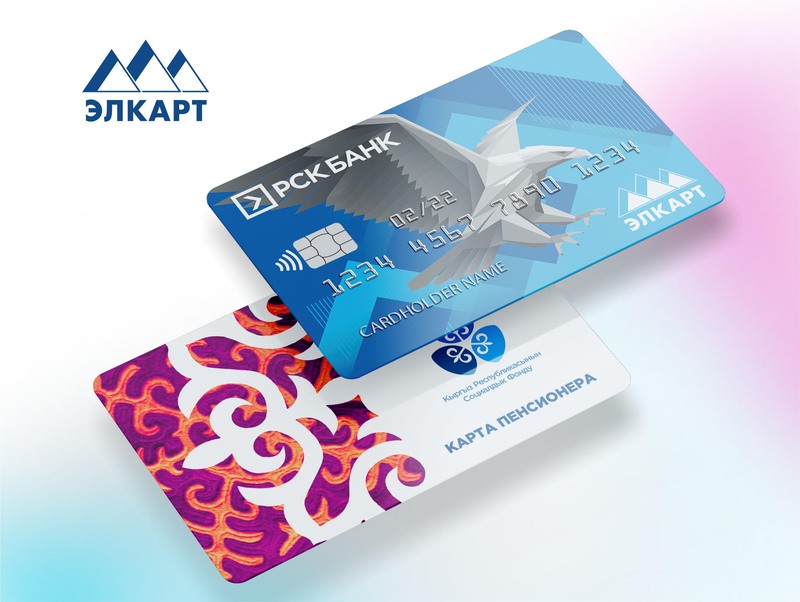 Payment card "Elcart" - an affordable, reliable, secure banking product intended for non-cash payments, receipt of wages, pensions, benefits, as well as to make payments to the budget for the different types of public services, payment of taxes, customs duties and insurance contributions etc. Establishment of the National payment system payment cards ELCART aimed to perform the functions according to the calculations in the retail payments market for goods and services, which should help reduce the need for cash settlements and expand universal access of the general population with low income banking services (cash withdrawals, payments and short-term loans) through the use of payment cards ELCART.